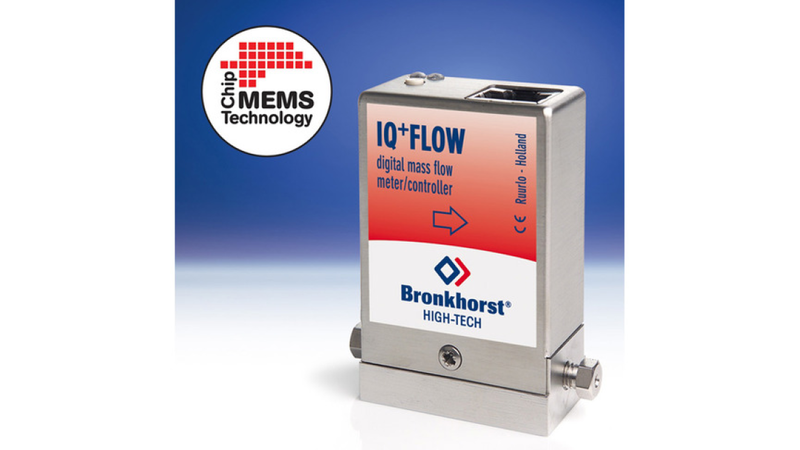 IQ+FLOW series, ultra compact Thermal Mass Flow Meter / Mass Flow Controller with chip-based sensor technology. Both analog and digital output, elastomer sealed. World&apos;s smallest Mass Flow Controller ! Flow ranges from 0-20 mln/min up to 0-2 ln/min air-equivalent.